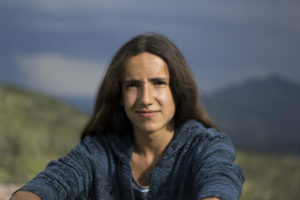 Six weeks ago I posted an environmental feature introducing the young and engaging Xiuhtezcatl Martinez, youth director of Earth Guardians. At the age of 15, he already has an astonishing list of accomplishments and an accumulation of honors. Last week, Xiuhtezcatl [shu-TEZ-caht] added a significant achievement to his curriculum vitae with a speech to the United Nations General Assembly. Please view it by clicking here. It won’t take more than ten minutes, and I promise you it will be the most useful and energizing ten minutes you will spend online today. Every American president for at least the last 40 years has pledged to end America’s dependence on fossil fuels. However, little has actually been done besides pretty talk about a future of clean breezes, safe water, and unspoiled land. In recent years and especially lately, America’s National Parks and wilderness areas have come under attack from the forces of political and economic exploitation. Defunding (a 12 percent cut in the National Park Service budget during the Obama administration has piggybacked on previous cuts to increase the $9 billion shortfall in the NPS’s deferred maintenance budget he inherited to $11.5 billion), commercialization (Coca-Cola “co-brands” the Grand Canyon and Budweiser the Statue of Liberty), and exploitation (fossil fuel corporations have drilling leases on 45% of national parkland) endanger our natural heritage. The extraction of natural gas from public lands produces as much methane (a contributor to global warming) as 42 million automobiles. But, as Xiuhtezcatl told the UN representatives, “The future of energy is no longer down a hole.” Renewable resources are being employed at an increasing rate all over the developed world. The United States is not just a huge energy consumer, but also a huge international supplier of pollution-causing fossil fuels. The rest of the world looks to this country for leadership, and right now it is failing in that capacity. As a native of the State of South Dakota, I can tell you that there is a lot of wind power potential available. Solar power generation is growing all over the industrialized world at a faster rate than it is in the world’s leading economy, which should be setting the example. Frighteningly, politics has begun to overwhelm science in this battle. Some State governments are imposing a political correctness on the work of scientists who are employed in public service. Since some political office-holders do not want to acknowledge the existence of man-made climate change, they forbid open discussion or or restrict study about it. If you don’t think that is terribly dangerous, click here. When I was a college student many years ago, I adopted a criterion that I have used ever since to make judgments about programs, plans, and actions. It is this: How does this proposal answer the question, “Which is more important – people or money?” Our Earth belongs to its inhabitants, its daughters and sons, and not to the interests of greed and profit. The responsibility for ensuring that the interests of people come first is ours. There is an old, ironic joke – attributed to Groucho Marx, among others – that asks, “Why should I do anything for posterity? What’s posterity ever done for me?” If your actions respond only to “what’s in it for me, personally?” then your actions are corrupt. Every apple you eat is there because someone who came before you planted a tree. Every glass of clean water you drink comes to you because someone long ago thought it was important to build and preserve for the benefit of the future, and that future is now. We have a big job. We – humanity, the people, the forces of commonwealth and community against the forces of greed and exploitation, the forces of the future against the forces of immediate gratification, the forces of preservation against the forces of plunder – we have a big challenge ahead of us. Big challenges call for big people, and – despite his youth – Xiuhtezcatl Martinez is a big, big man. He inspires me and rejuvenates my faith in the innate sense of responsibility that lies within each of us. Let him inspire you, too. We need you now. I recently watched This is It, the Micahel Jackson documentary, the last part mirrored the fragile Earth theme and our fiduciary responsibility to not destroy it.